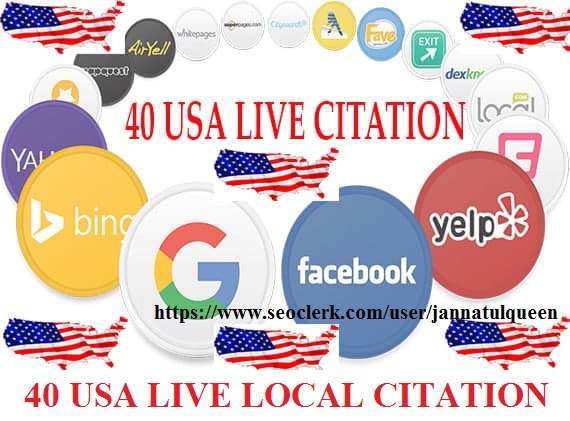 Citations are one of the very important for local business listing, For every USA businesses I have created a full-fledged service to create high quality citations from USA and global websites. I make sure all my client's sites are submitted in prominently ranking directories, ensure that site descriptions and files are properly prepped before actual directory submission. So all of my fellow USA are welcomed to handover a superior web marketing of their business. Create 40 USA Live Local Citation for Local Business is ranked 5 out of 5. Based on 1 user reviews.